Yesterday a leak revealed that Huawei was getting ready to sell the already announced Honor 8X Max as the Enjoy Max in some markets, and today it's become clear that one of those is China. 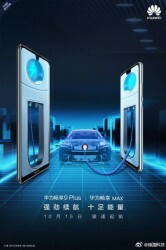 Over in the company's home country, the Enjoy Max will go up for pre-order alongside the Enjoy 9 Plus on October 15 through Suning, a local online retailer. The Enjoy 9 Plus is very similar to the smaller Honor 8X in specs and looks, but not identical. 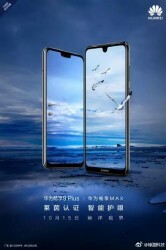 The Enjoy 9 Plus will also be known as the Huawei Y9 (2019) in other markets. It comes with a 6.5-inch 1080x2340 touchscreen with a notch, the Kirin 710 chipset at the helm, and two RAM/storage combos: 4/64GB and 6/128GB. Camera-wise you're looking at a 16 MP + 2 MP rear setup and a 13 MP + 2 MP selfie array. The phone has a 4,000 mAh battery and runs Android 8.1 Oreo with EMUI 8.2 on top. The latest report on the matter claims it will be powered by the Qualcomm Snapdragon 670 SoC (an upgrade from the 636 in the Honor version of the phone), and a 4,900 mAh battery (100 mAh less than the 8X Max's). 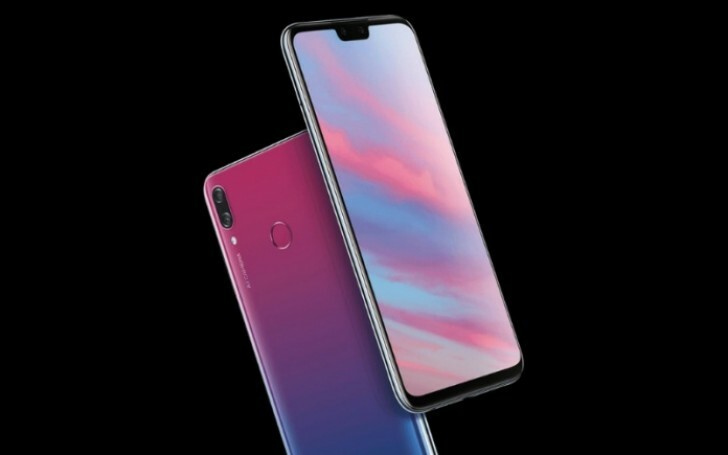 The rest of the specs are to remain the same, including the 7.12-inch 1080x2244 LCD touchscreen, 16 MP + 2 MP rear cameras, and 8 MP selfie shooter. The OS version here is still going to be Android 8.1 Oreo with EMUI 8.2.